Sadly i can't find any photo's but this is from The Irish Whiskey Trail archive. I have read that Casa Rio refers to the Pierces' HQ in Argentina. I believe that it was named that in the Devereuxs time too so this may be questionable. I hope to come up with answers in time. I recently came across a small bottle which was used for medicine. Thank you Eamonn Roche for the photos. The front and back of the bottle have labels from a full size bottle I believe. I'm going to check with Kilbeggan to see if they have anything for the Loche's archive since Nicholas Devereux's granddaughter was married to Loche's son. If you see a photo of a old advert both of the labels shown above are on the front of the bottle. Here's a photo of a print got at an auction. I had never seen this picture before either. I also got this interesting box from Nigel Hamilton which was previously use to store candles. The box is only suitable for a 1/2 bottle and has Bishop's Water Distillery in large lettering. 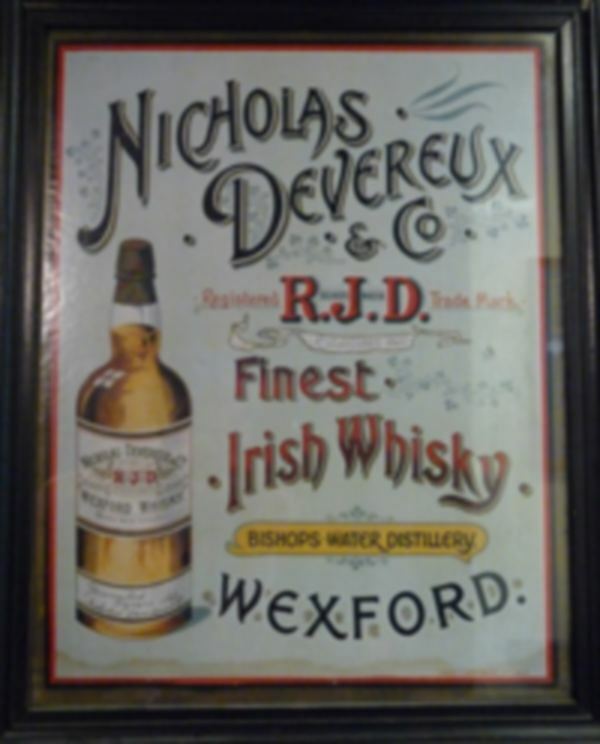 I attach a photo of an advert from The Whiskey Trail because my one is in too bad of condition to use. The many malt houses of Wexford are also recorded on the National Inventory of Architectural Heritage site. That's a great find Charlie. 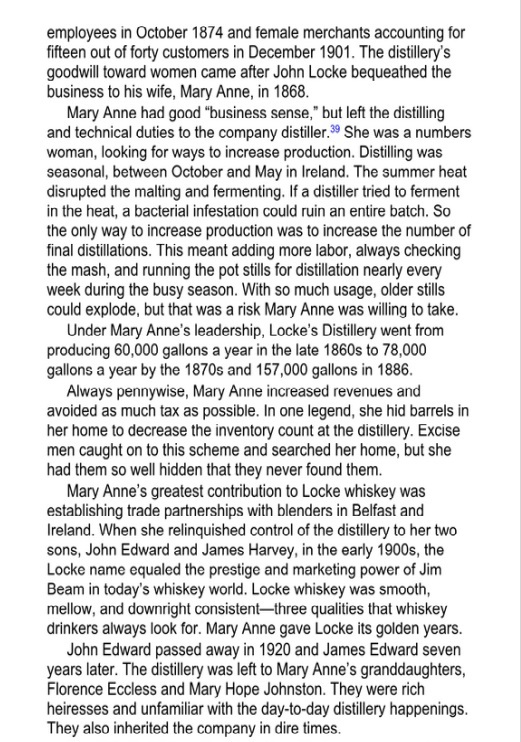 I read that she was the distillery manager until her sons took over but this shines a whole new light on her.